the South Chilcotins in BC Canada. Located just inland of the incredibly remote Canadian west Coast Mountains this area is pretty unique in Canada. There’s a spectrum of shades across the horizon like a rocky rainbow, all from the various mineral deposited in the land, this multicolored spectacle is further enhanced during the superb autumnal colours that we experienced. To access the best of the vast area most people are using a float plane at Tyax Air. After a long drive from Pemberton near whistler you reach the last traces of a road and civilization in general. From here you can just keep going into the mountains as far as you like, so getting a head start by plane is an awesome idea. Old trapper and first nations trails still exist which open these amazing snaking paths through the landscape, making it perfect for exploring by biking. We had a 7 day self supported mountain biking bike packing adventure here in September. Given the remoteness of this trip and the distances involved, we decided to charter a float plane from Tyax Air. This also added a bit of excitement and clearly saved a lot of effort. 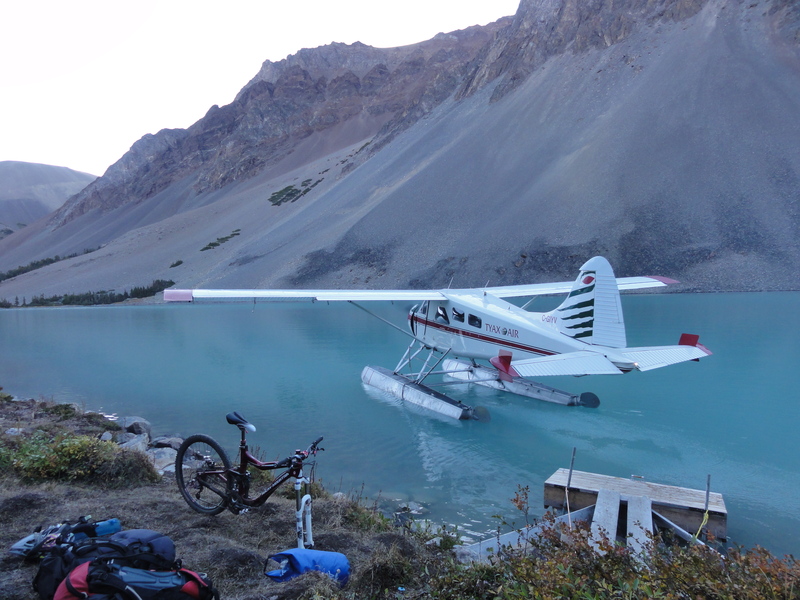 From the precarious landing on Lake Lorna we rode a short way to a spot of land almost like an island in the lake, we set up camp here in a bid to loosely protect ourselves from the large grizzly bear population in the area. I love this approach to adventures whether winter touring on snow or summer hiking and biking. The experience of setting up a remote base camp and doing day rides up and down the various passes and peaks in the area means you have the chance to really explore an area that few others will ever bother accessing. In these wild hills the bears, wolves and steep loose mountain sides certainly keep you on your toes. This far from home, in fact miles from anyone’s home, an accident is not a clever idea. 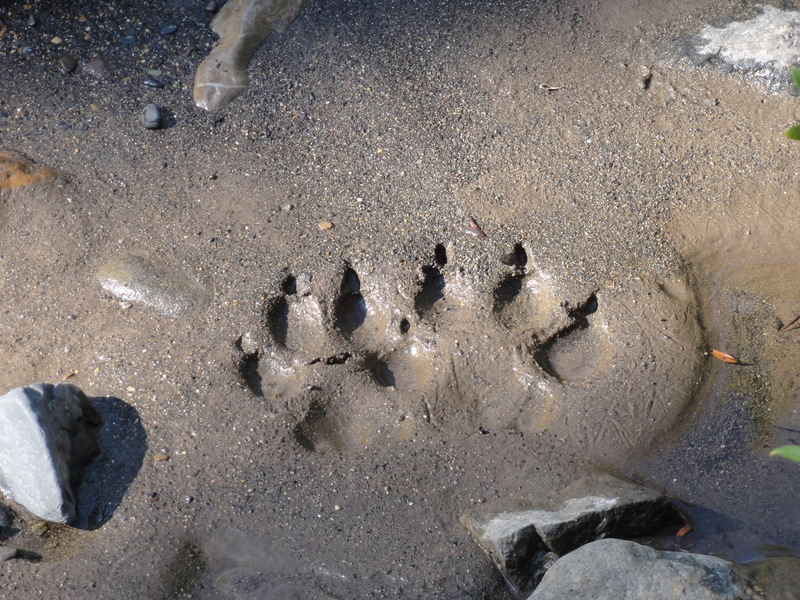 We fortunately avoided any confrontations with wild animals and wild humans during the week, but we certainly saw wolf and bear tracks regularly. One night after a peaceful night dreaming of riding bikes we awoke to discover grizzly prints right next to our tent, these had appeared overnight! We had hidden our food in the highest tree about 100m away, sadly this was still only 6ft high but the bear had luckily not even touched it, clearly the tent was more interesting, still we moved on! During the week we crossed a few rivers, climbed at least 4 high passes all on singletrack and when that ended we scrambled up numerous peaks on foot just to soak in the views. We saw no one until the final stretch back to the road where a few other bikers were riding in. This was a true wilderness adventure. We set up a few base camps each one progressively closer to where the access road ended and our plane trip had started. Over the course of the week we rode just 65km back out, but each day we did a singletrack loop back to the base camp, so the total mileage would be much higher. We explored so much that we even visited places the local guides hadn’t ventured to! This was up alongside Grant creek, the colors were genuinely this vivid no clever photo shop trickery. The riding was super fun, all flowy singletrack and the kind folks at tyaxair.com had done some random bush cutting making this remote ride even better. The weather was fine and the trails dusty and loose, which was just what I was used to after a summer in Fernie, BC. Being the end of summer it was all totally deserted, although whether it ever gets ‘busy’ out here I doubt it! The picture below was a beautiful camp spot just below deer pass. The views from the porch were outstanding, this was where the overnight bear footprints circling the tent and along the path were less than awesome….it was time to move camp. We camped at the end of Lake Lorna, as seen here from above, this was after getting dropped off on the lake by the plane.This shot was after a pretty brutal climb up to Deer Pass and a hike along Warner Ridge. The view was mind blowing. This shot was riding back to base along the famous Gun Creek trail. It is truly epic riding, world class trail riding without a doubt and never to be bettered, well until the next new ‘best trail ever’ that is. We concluded that this might not be tracks from a dog, it seemed slightly unusual that 6 dogs had taken themselves for a walk on their own. It seemed we were stalking the fresh tracks of a pack of wolves, along some admittedly sweet singletrack. This shot was taken in the mud alongside a creek. The wolf was standing looking upstream and given the freshness of the print it was probably smelling for our approaching scent blowing down wind. No friends at the campfire? 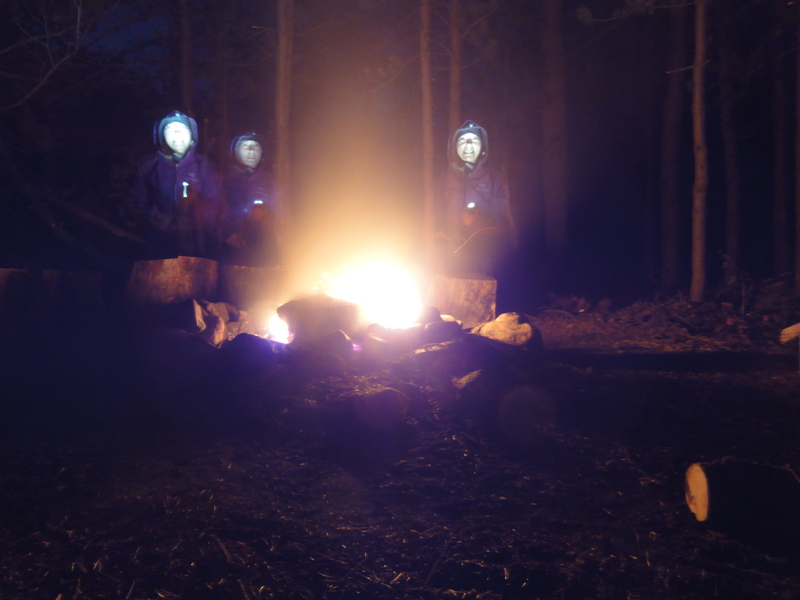 Easy just set a long exposure and move around the fire, you instantly look more popular (and maybe just a bit creepy…) This camp spot on the way down towards Warner Lake felt a bit exposed to the world (and wildlife) so we stayed up late with a huge fire roaring. Fun times drifting in the loose corners on the descent down Gun creek. The autumn colours really added to the scenery with the larches turning great shades of rust and yellow.